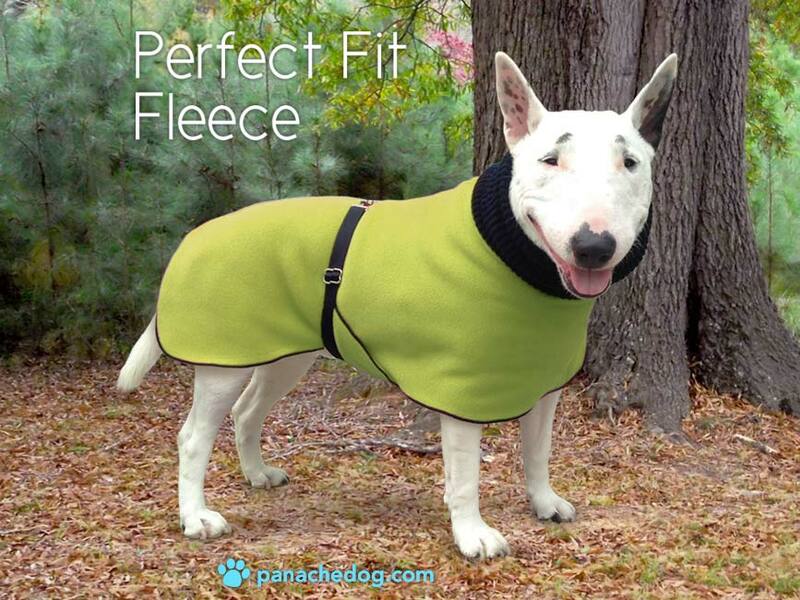 Luxuriously Soft & Warm Fleece Dog Coat by Panache Dog. Bright Colors. The Panache fleece dog coat is made of a luxuriously soft, yet heavy, thick, breathable 300 count polar fleece fabric, for maximum warmth. ( 100 % polyester ) This fleece will not pill, it will not shrink and the color will not bleed. 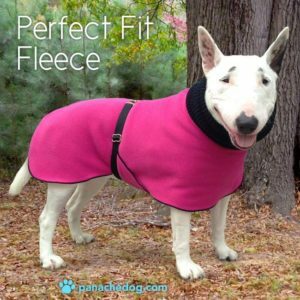 The fleece coat has a black rib knit collar, black belt and black trim. All coats have leash holes. Belt hardware is brass or stainless steel.